We would like to thank you for your recent review. It is always a pleasure to read such wonderful reviews. Since your visit our new sign has been installed and we have been receiving a lot of attention as people realize that we have returned with a new name. As you can see in the attached picture, your review is displayed in our window. Thank you again and come back soon! Here’s a photo of the new sign. You’ll have to go there though to get a closer look at their Perfect Slice Award certificate. Famous Roio’s Pizza is not affiliated with Original Famous Ray’s, Original Ray’s, Ray’s Pizza, or USA Famous Original Ray’s Licensing Corporation. Whatever you call it, there’s no mistaking the greatness of the pie at this place. Appreciate you looking after me, but I did hear about this. Nothing on the closing of Roio’s, or did I miss it? Sorry I missed it. 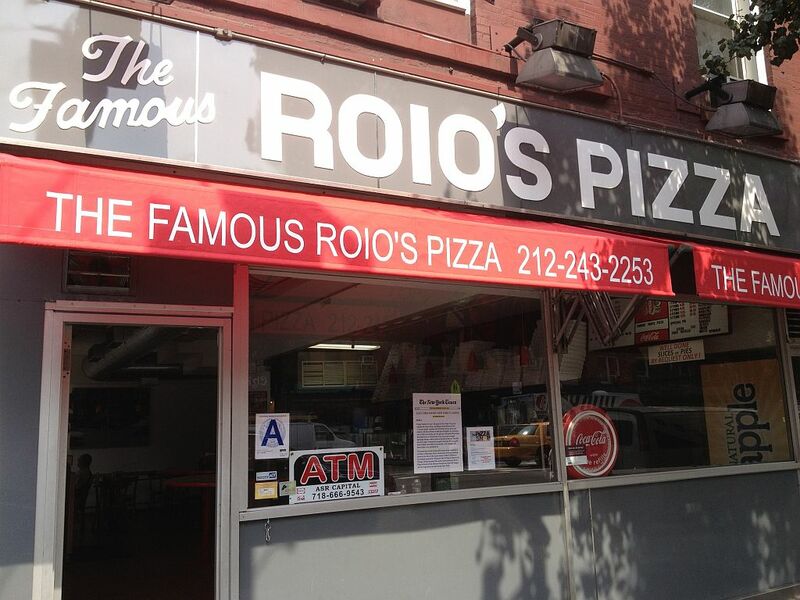 I searched “Roio’s” on your site, and it wasn’t one of the stories that showed up.